Belford is a picturesque, historic coaching town and is a perfect base to explore North Northumberland, located just minutes off the A1. There are a range of facilities in Belford including a newsagents, Co-op with post office, Community Shop, Farm Shop, two pubs, a hotel and hairdressers. There is also a doctor’s surgery and a chemist’s. Belford also has its’ own museum, purely dedicated to Belford and the surrounding area’s history. It is a fascinating little place and worth a visit. Entrance is free. Whether by way of walking, cycling, motorcycling or to simply relax, soaking up the stunning landscapes ranging from peaceful sandy beaches and magnificent castles and through wild moorland to the beautiful Cheviot Hills – there is something for everyone in our beautiful county. For those planning exploration on foot, St Cuthbert’s and St Oswald’s Way routes are close by and we are on the Northumberland Coastal Path. St Cuthbert’s Cave is under the care of the National Trust and a short drive from Belford. Northumberland Coast is home to many different bird and wildlife species and is a mecca for bird and wildlife enthusiasts, where many rare and unique species are seen around this coastline. North Northumberland, known as the `Secret Kingdom’, is a recognised Area of Outstanding Natural Beauty (AONB). Our beautiful county is steeped in cultural heritage; together with stunning coastlines and magnificent castles such Bamburgh, Dunstanburgh and Lindisfarne. 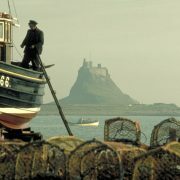 The magical serenity of the Holy Island of Lindisfarne and Cheviot Hills are also a short drive away from us. For Grace Darling fans, Bamburgh was birthplace of the famous Victorian heroine, and is buried in St Aiden’s churchyard. Grace’s father, William was lighthouse keeper at Longstone Lighthouse on the outer Farne Islands. The lighthouse opened to the public in 2016; Golden Gate Boat Trips, run by George Shiel is the only licensed boat to land on Longstone Island. 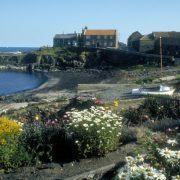 Longstone Island was also recently featured on Penelope Keith’s `Coastal Villages’. George’s boat trips sail from Seahouses Harbour. The RNLI Grace Darling Museum in Bamburgh is purely dedicated to Grace with exhibits and artifacts about her life. Grace’s brother, William was lighthouse keeper at Coquet Island, near Warkworth. The island, with its large colonies of sea birds including puffins and the rare Roseate Tern, can be visited by boat in the summer months with Dave Grey’s Puffin Cruises. North Northumberland has much to offer the nautical enthusiast from sailing, surfing and windsurfing to exploring the area’s rich maritime past and the fishing industry’s important contribution to the region. 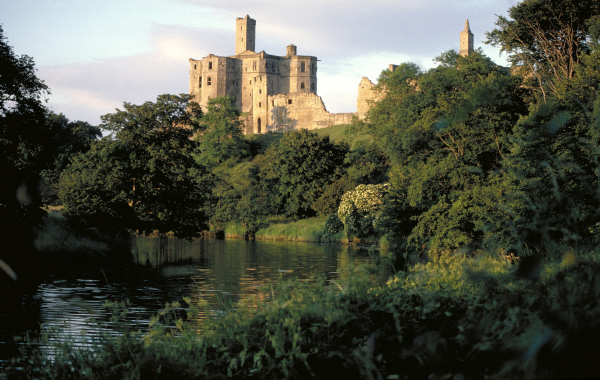 A number of locations in the area have been used for filming including; Alnwick Castle (Harry Potter’s Hogwarts & School of Wizardary), Robin Hood `Prince of Thieves’ and Downton Abbey. ITV’s detective series `Vera’ is filmed throughout Northumberland and Newcastle, including various iconic landmarks such as Lindisfarne, Longstone Island and Newcastle’s Tyne Bridge. 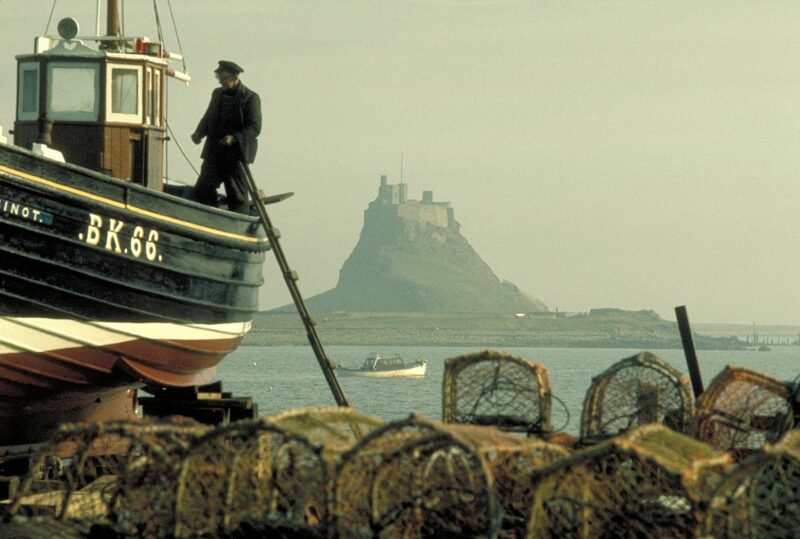 Northumberland’s increasing popularity has also been heightened by the ITV television series; Robson Green’s Tales of Northumberland/Further Tales of Northumberland. Booking is recommended for evening meal reservations in the High Season (April to October). If you wish to leave the car behind, Croft Taxis, our local cabbie offers a prompt, professional and reliable service. Gordon can be contacted on 07803 496278. Taxi services are very limited in our rural area and are difficult to hail on the night, so advance booking is essential. Lomenech Gill & Fils Gallery and Studio, Belford: Vincent and Olivia Lomenech Gill have a splendid range of original prints, with their services extending to paper restoration and conservation framing, together with a three-ton press! For Harry Potter fanatics, Olivia recently completed a commission to draw the beautiful illustrations found in J.K. Rowling’s books `Fantastic Beasts and Where to Find Them’ and The Crimes of Grindelwald’ which have both been made recently into films. 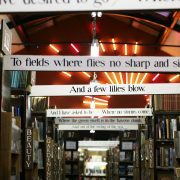 Barter Books, Alnwick: Railway buffs and bookworms (or anyone for that matter) will love it! 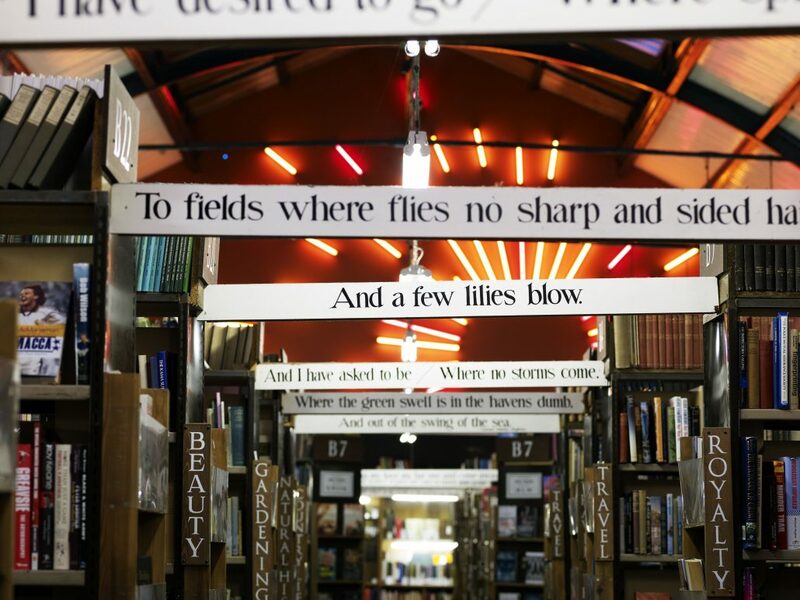 It is the largest second hand bookshop in Europe and located within Alnwick Station, a splendid Grade II Listed Victorian building. Alnwick station is also home of the original `Keep Calm and Carry On’ poster. Fenwick Gallery, Warkworth: Nicole Fenwick and her mother, Dorien Fenwick run this gorgeous gallery with a range of beautiful artwork, homemade jewellery and ceramics, all made by local artists and craftspeople. Nicole is renowned for her portraits of animals and birds found in North Northumberland, from red squirrels to puffins. Mick Oxley Gallery, Craster: This lovely little gallery is based in the fishing village of Craster, also home to the world famous Craster Kipper. Mick’s work is beautifully atmospheric and his oil-based seascape portraits capture the surrounding coastline, landscape and beaches perfectly. Chainbridge Honey Farm, near Berwick-upon-Tweed: All honey and beeswax products are made from the farm’s very own busy bees! There is an information centre with the story of the honey farm and how the honey and other products are made. We can recommend the superb afternoon tea on the quirky Cafe Bus – simply glorious! Ford and Etal Estates: Home to Lady Waterford Hall, Etal Castle, Heatherslaw Mill; there are some quirky and fascinating shops for those who are fans of anything vintage. Visit The Old Dairy and The Old Forge which house a range of architectural antiques, antiquarian books and bric-a-brac. There is also the Hay Farm Heavy Horse Centre which is a wonderful working farm and the new Cheviot micro-brewery with some very moreish real ales! The characteristic Black Bull Inn with its’ thatched roof is is the only thatched pub in Northumberland, re-opened in 2018 and serves an array of excellent dishes. 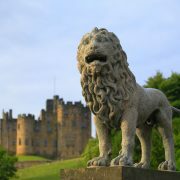 Alnwick Castle: is the second largest inhabited castle in England and has been home of the Percy Family for 700 years. 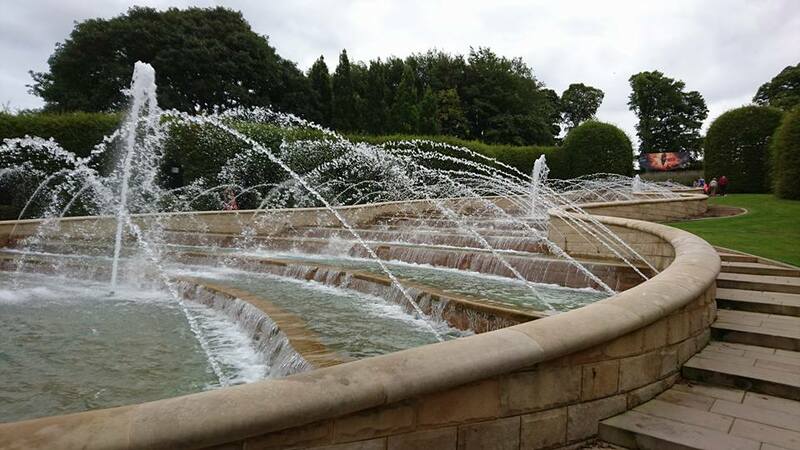 The castle has been remodelled over the centuries, the State Rooms are splendid and a must-see, along with the beautiful Alnwick Gardens, with it’s magnificent water cascade; the construction of which was personally overseen by the Duchess of Northumberland. 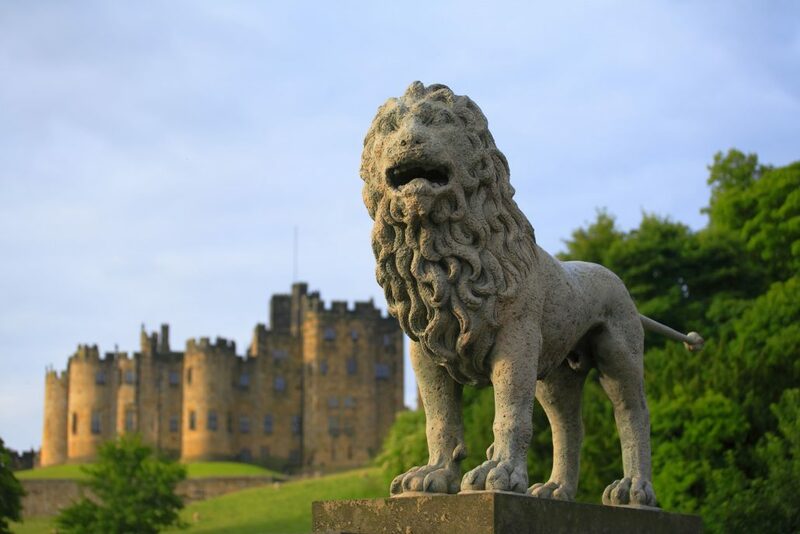 Alnwick Castle has been used in various films, famously for Harry Potter’s Hogwarts, Downton Abbey and more recently in Transformers: The Last Knight. Bamburgh Castle: This beautiful, majestic castle has the real `wow’ factor travelling in from the west and dropping down into the village of Bamburgh. 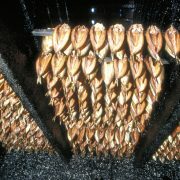 It is not to be missed whilst visiting Northumberland! It is one of the largest inhabited castles in the country and was owned by the first Lord Armstrong, the famous Victorian engineer. Lord Armstrong’s works include gun making and by 1882, his company has expanded into shipbuilding, building battleships for the Royal Navy together with all gun-power on board his ships. His other Northumbrian home was Cragside House, near Rothbury. Chillingham Castle and Chillingham Wild Cattle: After being derelict for many decades, this eccentric`ghostly’ castle was brought back to life by Sir Humphry Wakefield Bt. in the early 1980’s. With an array of fine rooms containing paintings and replica furniture made by Sir Humphry’s craftsmen in America, together with the Wild Chillingham Cattle, makes Chillingham a fascinating and unique day out. Enter the dungeons if you dare! The Formal Gardens, Lakes and Woodlands are open to the public during the High Season. 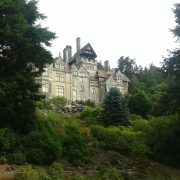 Cragside, Rothbury: Another icon of Northumberland is the stunning country residence of Victorian pioneer, Lord Armstrong. 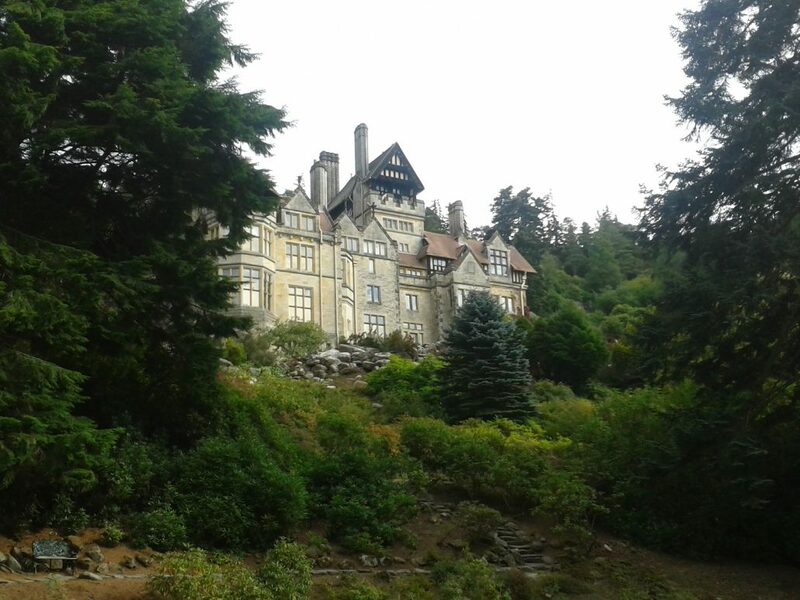 Cragside was the first house in the world to be lit by hydro-electricity. Lord Armstrong designed and built all the hydro-electric power at Cragside and the house was totally `self-sufficient’ for electric. 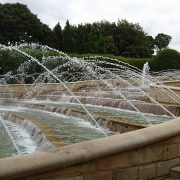 The grounds are simply beautiful and a must-see visit is the restored Orangery in the grounds. Be prepared to spend all day here! Dunstanburgh: The castle was erected in 1313 by Earl Thomas of Lancaster and the haunting, dramatic ruins are one of North Northumberland’s most iconic landmarks. 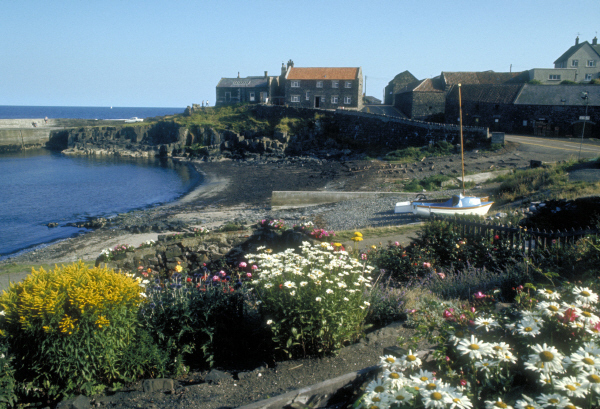 The mile long walk from the delightful fishing village of Craster, famous for its’ kippers, is one of the most beautiful along this coastline and it is one of our favourites. Warkworth: Warkworth Castle was another Percy family seat and it’s great Tower or cross-shaped keep was built over 600 years ago by the first Earl of Northumberland. Experience first hand the Percy’s lavish lifestyle by visiting the Duke’s Rooms in the Keep which is almost complete. 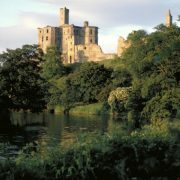 It is one of Northumberland’s most popular attractions along with the Hermitage and Warkworth village is well worth a visit. Here you will find unique independent shops, tea rooms and pubs. 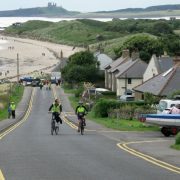 Northumberland has many fantastic cycling routes, from the very easy to the very difficult! From flat coastal trails to the hilly terrains of the Cheviots, there are routes to suit all levels. It is a perfect way to explore the area and also a good excuse to leave the car behind! We have a number of cycling maps which guests are welcome to borrow whilst staying with us. We welcome cyclists and have secure storage areas to store bikes. Coquet Island: Grace Darling’s brother William was lighthouse keeper here and the island is home to Puffins also and other rare bird species such as the Roseate Tern. Boat trips sail from Amble on Dave Grey’s Boat Trips, the island is out of bounds to visitors but the wonderful array of sea birds can be seen. Berwick-upon-Tweed: Or how about a cruise along the Tweed at Berwick? 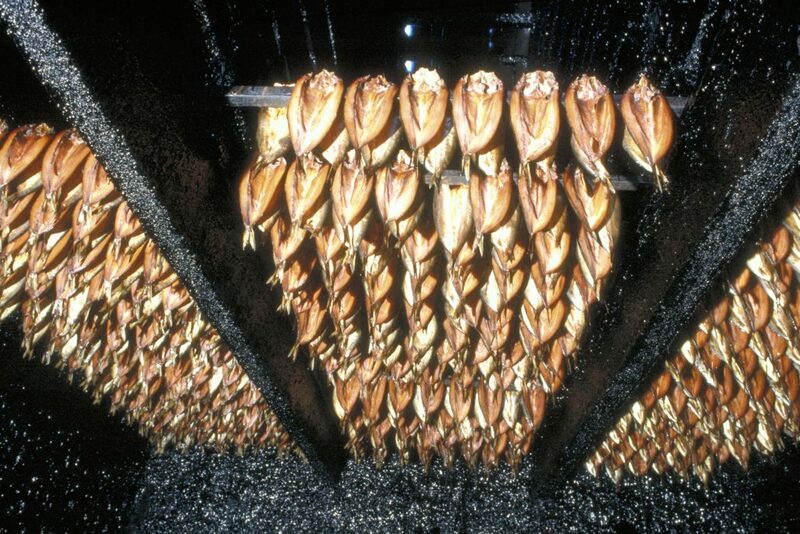 Boat trips include inland up the Tweed, famous for its salmon fishing and trips out to sea. Berwick has a fascinating seafaring and military history. It was the third most important port in England with the main exports being Salmon, Wool and Barley. The Tweed remains one of the most prestigious fishing rivers in the country. Shipbuilding was still present in Berwick right up until 1979 and reminders of this industry are very much in evidence on the Quayside. There is also much maritime history in our region to explore, from fishing to shipbuilding and limekilns to smokehouses. Beadnell, Craster, Seahouses and Amble are more places to add to your list of places to visit. What better way to sample the delights of Northumberland exploring on foot. There are many excellent walking routes including the Northumberland Coastal Path (which covers some 60 plus miles), St Oswald’s and St Cuthberts Way. The are a number of companies providing guided walks which take in these routes. 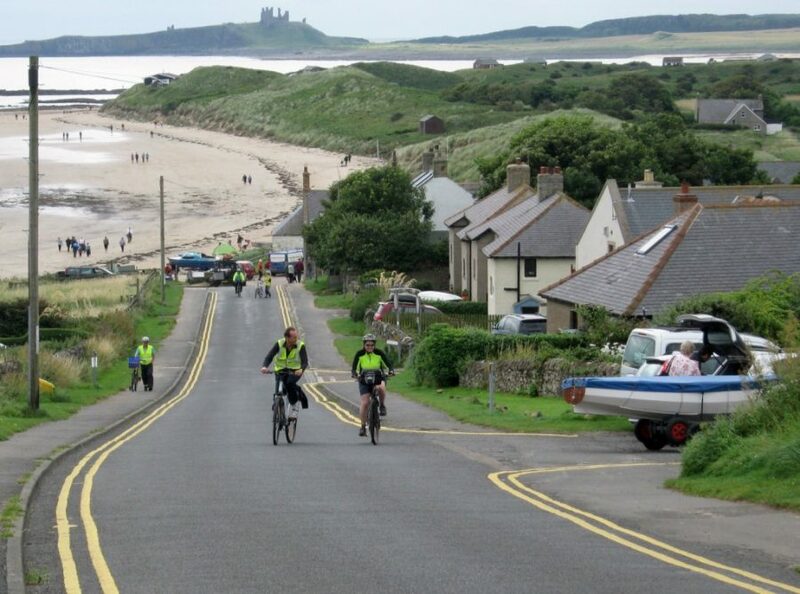 Budle Bay, Bamburgh, Beadnell, Low Newton and Embleton Bay, passing Dunstanburgh Castle, is reasonably flat terrain and the coastline along this route simply stunning in all seasons. The wonderful Cheviot Hills and surrounding area are well worth visiting; whether you are a beginner or an experienced fell walker, there is something for all abilities. If you don’t feel confident walking independently, there are excellent guided walks and tour operators such as Footsteps who are based right here in Belford. We also have a very good bus service in North Northumberland, with regular daily buses. Bus stops north and southbound are 15 metres away from Post Office House. Please go to the `About Us’ tab for more information and timetables. If you are planning an independent walking holiday and wish to use a luggage transfer company, we can recommend Carrylite, mobile number 07976 356459. Important: If using a luggage company, then it is essential that we are contacted in advance, so that we are on the premises to take your luggage.